Biblical theologian Dietrich Bonhoeffer was executed by the Nazis just days before the Allies defeated Germany in World War II. 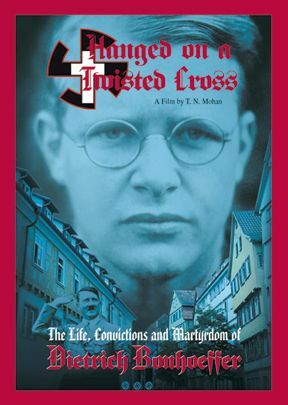 This gripping documentary narrated by Ed Asner captures the life, times, and thought of Bonhoeffer. Using rare archival footage, documents, and visits to original locations, we get an intimate portrait of a man whose life and writings grow in their influence and speak powerfully to issues of our own day some 50 years later. How does a man of peace come to assist violence in combating unrestrained evil? What do you do when deep-seated patriotism for your nation compels you to oppose your fatherland and its demonic leader? What course do you take when your love for the Gospel conflicts with your tragically compromised church? What is the responsibility of a follower of God when others are being persecuted and sent to prison camps and gas chambers? As shown in this two-hour program, Bonhoeffer confronted these and other issues with a searching Biblical faith and personal courage in a way that speaks to every generation.